I have just undertaken my first couple of months as your new Master. I hope you enjoy the account of my endeavours during this time. May I thank all those Members who attended Common Hall and elected me to be your Master for the year ahead. What a wonderful evening it was with Barbara’s Report on her great year in office, the Installation Ceremony, electing the Officers of the Court, followed by some great food and wine as usual. My personal thanks to our Senior Warden for the simply stunning after dinner entertainment. There was a wonderful spirit of Fellowship and goodwill in the Hall and it was delightful to welcome our new Members and Liverymen to be part of our annual Dinner. 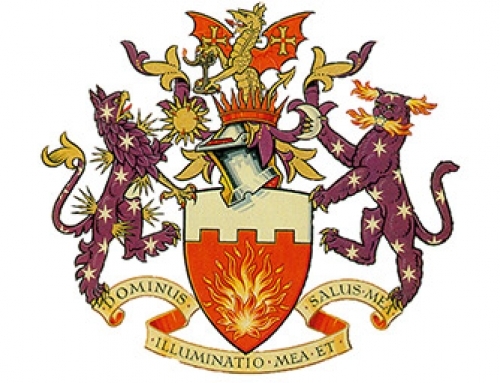 It is a great honour and priviledge to be the Ambassador of our wonderful Livery Company and I will feel so very proud as I represent you, our Members, at Civic, Military and other City events in the coming year. 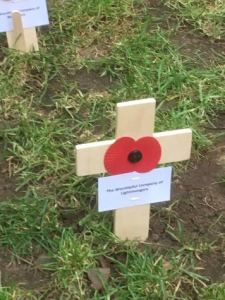 This was a very poignant and moving occasion, remembering the sacrific of so many on the 100th Anniversary of the Armistice. The service, conducted by the Dean, was attended by the Lord Mayor and the Lady Mayoress, together with the Sheriffs, senior representatives of the City of London, Ambulance, Fire and Police, Masters and Clerks from the Livery, the British Legion, the Military, with music provided the band of the Coldstream Guards, and choirs of the boys and girls from the City of London Schools. Following the service I was invited by the Master Cook to a Remembrance Lunch in the fantastic Girdler’s Hall. 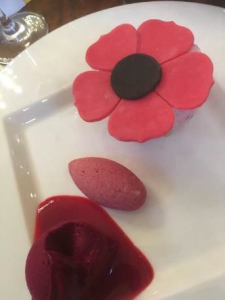 The theme of Remembrance was continued during the meal and even the food reflected the day! In the evening I represented Lightmongers at a service of Thanksgiving for the year of office outgoing Mayor at St Stephen Walbrook. 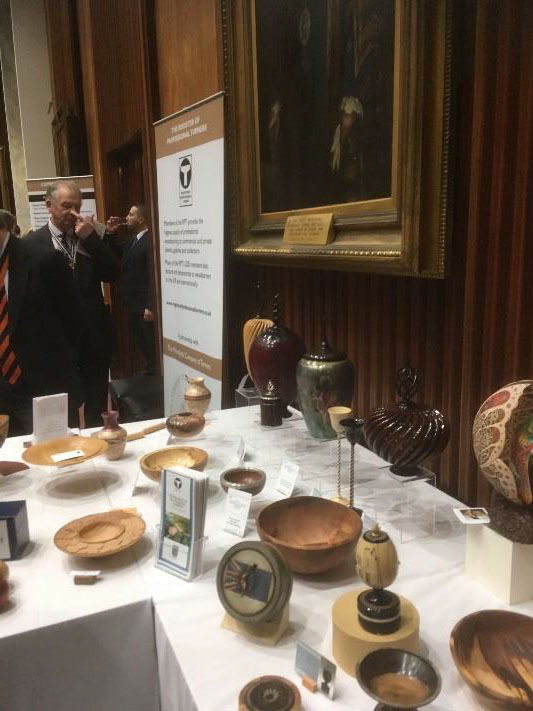 I attended the Horners’ Lecture at the Royal Society of Medicine, 1 Wimpole Street – a great venue with wonderful lecture facilities, and a warm welcome from members of the Horners’ Company. Sadly after the first slide the speaker had lost me but was clearly very knowledgeable and passionate as others were nodding with approval. So I just nodded being careful not to nod off! 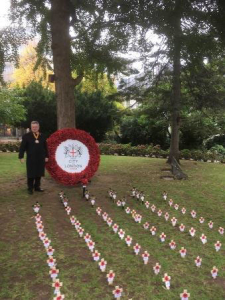 The Silent Ceremony is a medieval event, conducted in silence for many hundreds of years, where the outgoing Lord Mayor transfers his symbols of office to the new Lord Mayor of London, held in Guildhall. It was a real priviledge to be present and witness this ancient ceremony. 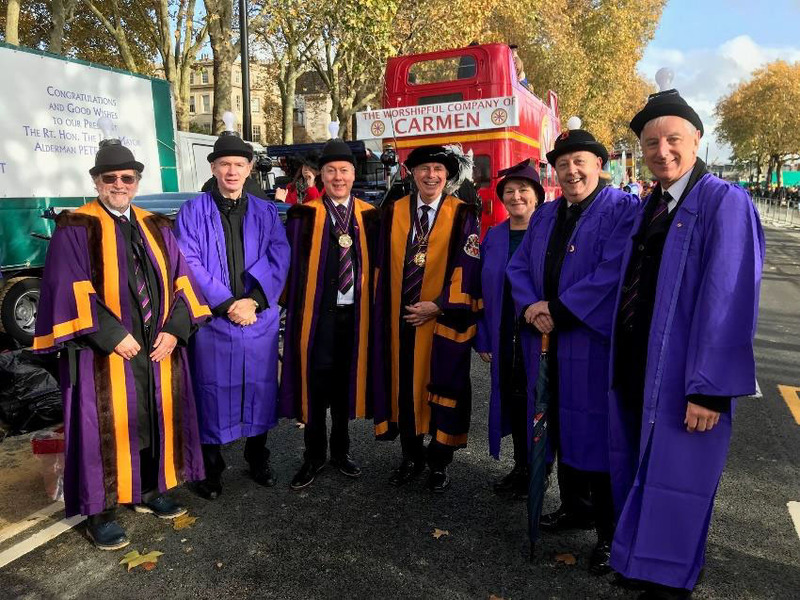 I was pleased to represent the Company as Master in the Lord Mayor’s Show as we have done for many years now. 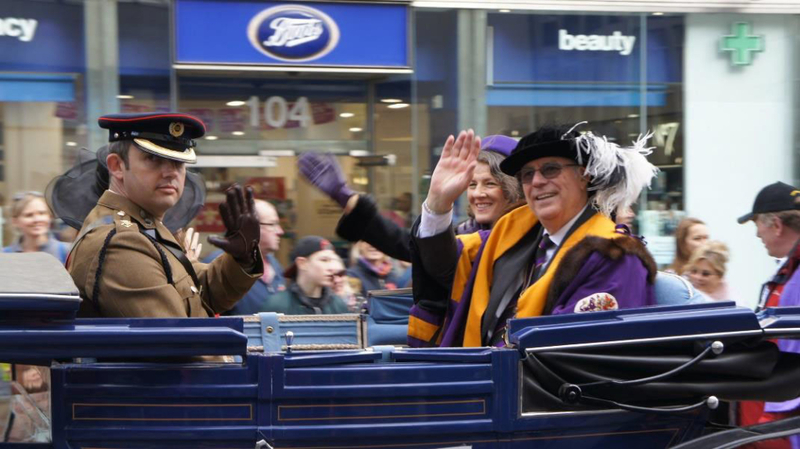 My guests, Liveryman Margaret Fitzsimons, Lt.Col Al Brown and his wife Eleanor, from our army affiliate 101 Regiment, thoroughly enjoyed riding in the Lightmongers carriage. The Lord Mayor’s Show is an ancient event where the newly elected Lord Mayor of London shows himself to the City of London in this, one of the best city parades in the world. 2018 was the 691st Show and, with two exceptions, the parade has taken place every year since it first started. The Lightmongers’ contingent, wonderfully attired in their purple robes thanks to Mike Simpson, were well supported by staff and pupils from our affiliated schools, Mary Hare School for the Deaf and New College Worcester School for the Blind, and our 2 cadet units: TS Wizard and 56 Woolwich, with all the young people thoroughly enjoying the atmosphere of the event. I am also delighted to report a dry Lord Mayors Show! What a luxury not to get wet! I would like to thank our learned Clerk, Phill Hyde, for his organisation of all the arrangements for the day (especially the weather) and for the wonderful manner in which he led our supporters and the crowd into a frenzy of excitement. Afterwards, several of us went to the Ned for lunch and much needed refreshments. My grateful thanks to all who supported me on the day, and especially Margaret Fitzsimons with her wonderful hat! 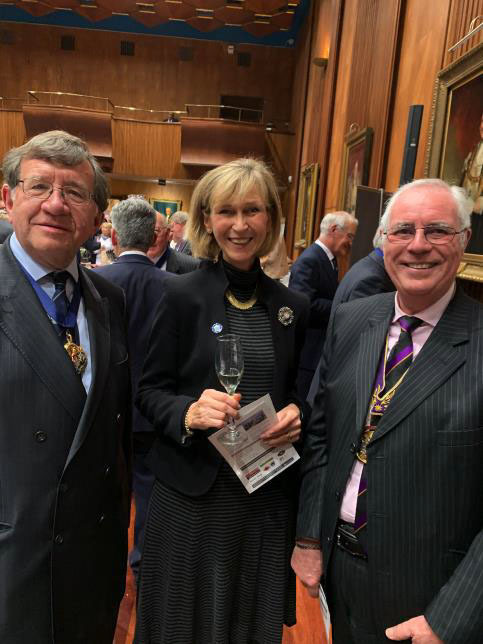 This event held at the City Club was to promote and seek sponsorship for the Lord Mayor’s Big Curry Lunch to be held on the 4th April 2019, supporting the three National Service Charities. It was a wonderful surprise to be invited to the Plaisterers’ Awards Luncheon held in their fantastic Hall. 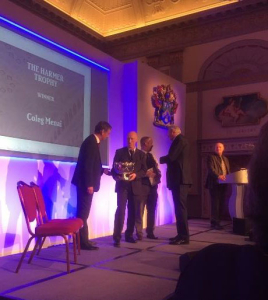 The importance of these amazing awards and the strong links between the Livery and their Industry was clearly demonstrated and highly valued by the award winners. Twenty Awards were presented by The Lord Mayor with the event wonderfully compered by Alan Dedicoat. A service for the Festival of St Celia was held this year in St Paul’s Cathedral, organised annually by ‘Help Musicians, a charity providing practical and financial support for musicians across all genres. The sermon was given by Rev Richard Coles, with speeches by Jane Asher and Anna Paola. We were entertained by classical guitarist Milos Karadaglic, as well as the combined choirs of St Paul’s Cathedral, Westminster Abbey and Westminster Cathedral. The music within the walls of this magnificent building was truly awesome. The Lord Mayor held his briefing at Mansion House setting out his plans for his year of office. The presentation was by way of a Question and Answer session with the Questions being asked by Mrs Victoria Russell. 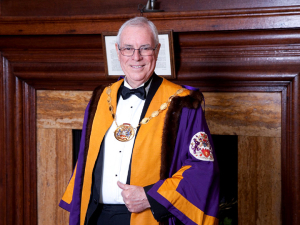 The Lord Mayor, under the banner of a ‘Better City for All’, set out his ambitions for The Lord Mayors Appeal, seeking support from the Livery movement. 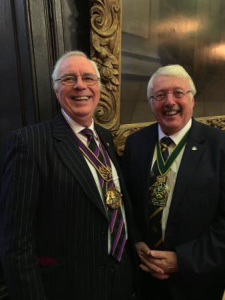 Past Master Mike Simpson, our Clerk, and I attended a project reception at Fishmongers’ Hall. Presentations were made on progress, to date, by the chair of the Foundation, Leo Villareal and Justine Simmons Deputy Mayor of London and the Project Director. It was reported that, following the granting of 22 planning permissions, work will shortly commence on site, two years since the winning team, led by artist Leo Villareal (The Bay Lights on San Francisco’s Bay Bridge) and London architects Lifschutz Davidson Sandilands, was announced by the Mayor Sadiq Khan. 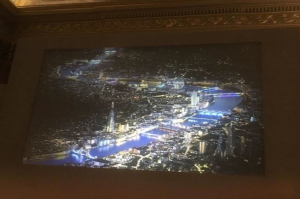 Illuminated River reframes the Thames at night, celebrating London’s historic links with its river and creating a legacy for London in an artwork that will be in place for at least 10 years. I was invited to Mary Hare School for the profoundly deaf to attend their prize giving. It was a true surprise and delight to be met as I arrived by Past Master Hugh Ogus and his wife Mavis who have been actively involved with the school for many years, with Hugh being a member of the Board. Following formal introductions and a welcome cup of tea we were given a tour of the school, going into the lessons; it was amazing to see what these students can achieve. Classes are small, 4-10, but other than that there is little to differentiate the ability of these students to those with normal hearing. It was especially interesting to hear about the schools future development plans. The awards presentation was inspiring as the presenter Oliver Pritchard, a former pupil at Mary Hare, gave a synopsis of his life and his experiences at University – a fantastic role model for younger students. As each prize winner was announced their CV was summarised and their achievements and future plans highlighted. 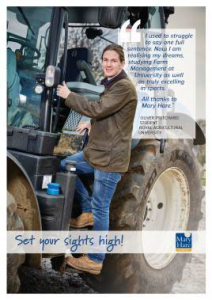 Mary Hare is clearly a special community and friends made there are friends for life. Phill and I came away feeling very humble and with great pride that the Lightmongers are affliated with this wonderful school. 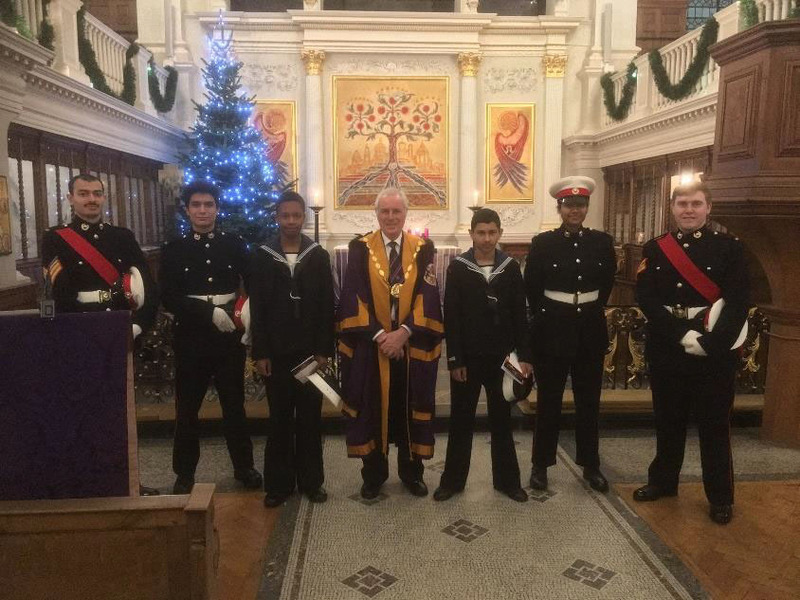 Our annual Carol service was held in our Company Church, St Botolph’s without Aldgate. What a sheer delight it was to hear the bells ringing out their welcome as we walked along Aldgate. The service was conducted by the Rev Laura Jorgenson and was a traditional service of lessons and carols. My nerves held out as I had to read the sixth lesson which had needed some practise. The wonderful choir, the East Wickham Singers, guided by their Choirmaster Michael Macey MBE, sang some beautiful Christmas music as usual and are greatly valued for their contribution to our Carol service. The organist Douglas Snow provided the accompaniment. An excellent supper with mulled wine was organised by David and Sandra Hawes and the Events Committee, which was enjoyed and much appreciated by all. My thanks to you all for the wonderful evening. 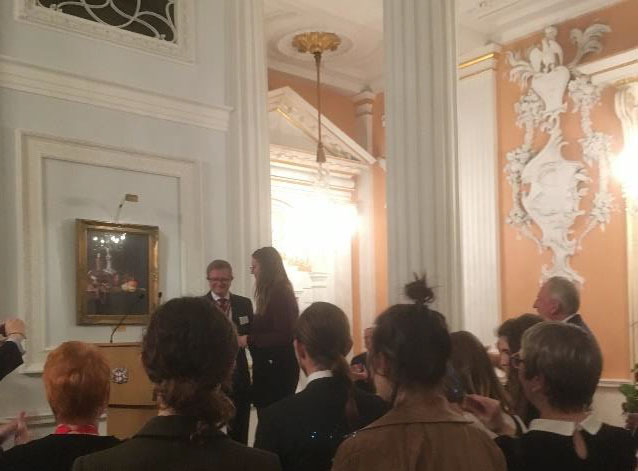 I attended a presentation of awards by the Lord Mayor at Mansion House to young people who had made a real difference to communities around the world supported by the Trust. I was invited to the Court Luncheon by the Master Spectacle Maker held at the elusive Apothacaries’ Hall. Having overcome the challenges of the railway and underground, the problem was, where is the Hall? I am pleased that I arrived just in time for what was a splendid occasion complete with Christmas Plum Pudding! 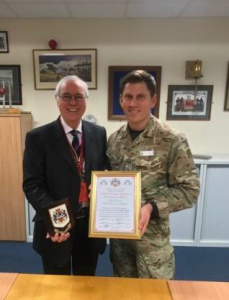 The Master, Past Master Mike Simson, Liveryman Dave Burns, and our Learned Clerk Phill Hyde visited the Royal School of Military Engineering, Chatham. This visit was to confirm and sign our affliation to the school and the young soldiers being trained in electrical installations and maintenance on both LV and HV distribution networks for the Army. Following a tour and inspection of the training facilities the official affiliation documents were signed by me and Captain Adam Irvine. We look forward to a wonderful affliation of our Livery with 24th Squadron Training RSME. A formal ceremony will be held in our May Court Meeting when the Commanding Officer will be able to attend. I hope you have all had a wonderful Christmas time and finally may I wish you and all your families a very Happy New Year! 21st February – Junior Warden’s Dinner at the House of Commons – applications are open, places are limited. 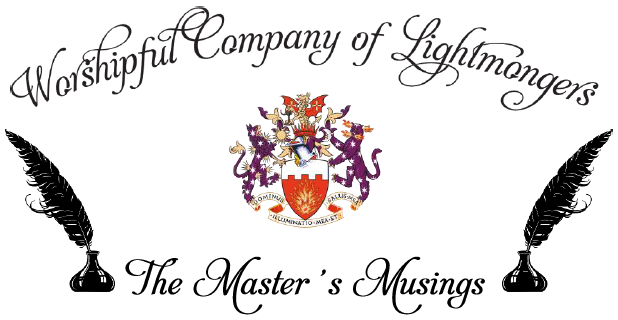 22nd March – The Livery Dinner, Industry Networking for Lightmongers and their guests, Clothworkers Hall– further details to come. 29th March – United Guild’s Service, St Paul’s Cathedral – further details to come. 9th May – Annual Lightmongers’ Charity Golf Day, Royal Automobile Club, Woodcote Park – further details to come.